This picture sums up our beach trips pretty perfectly. Lola close by, never leaving the comfort of us, the sand toys, and most importantly the snacks. Then theres Ivy in the distance collecting treasures and seashells, talking to herself and completely ignoring our "COME BACK IVES, TOO FAR!"'s. 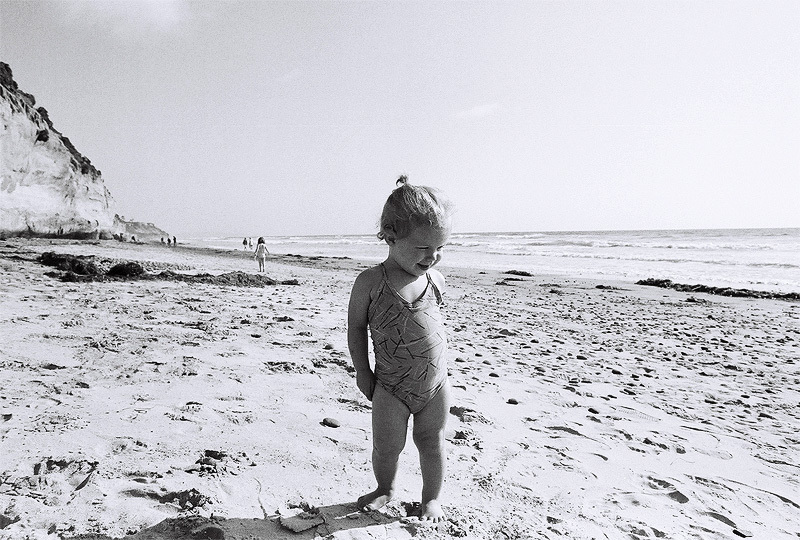 Can't wait for many more beach days this Summer-- Lolas chubby legs were made to sport sandy one-peices. My two are like chalk and cheese too, though my youngest is way more adventurous! Beautiful shot, you have such talent!